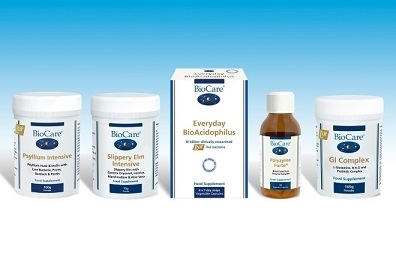 BioCare believe healthy digestion is the cornerstone of health. 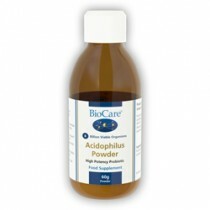 BioCare's nutritionists recommend probiotic supplements for maintaining healthy digestion. 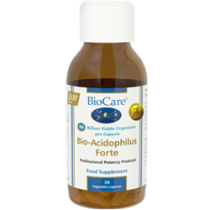 BioCare Probiotics are world class and they have always been leading the way for probiotic development and technology. BioCare have developed a long history of designing innovative products within the nutritional supplement industry with unequaled quality and efficacy. Together with high potency, durability, stability and being hypoallergenic. 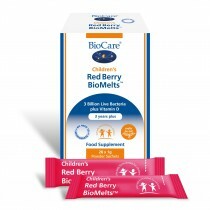 All Biocare Probiotics are vacuum sealed ensuring longing potency and durability as per the shelf life. They do not need refridgerating as they are vacuum sealed, even when opened they will last at room temperature for a few months, but it is recommended to keep them in the fridge once opened to maintain potency up to their best before date. 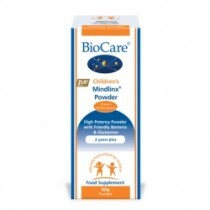 All BioCare Probiotics are dairy free. 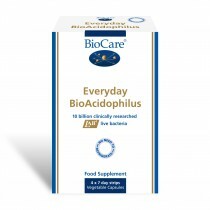 BioCare Probiotics contain the unique contain the LAB4 complex which consist of 2 specific strains of L. acidophilus with B.bifidum and B. lactis.